The program starts this weekend, with Harris saying the weekend will be great for old and new players alike. “Origin Game Time will bring new Pilots into the fight – help your teammates or swoop in for some easy points.” Those who play on this trial will also be able to carry forward their progress into the full game, should they choose to purchase it once the trial runs out. No word on how long Titanfall will be the featured game for this program, so get in on this now. Titanfall is easily the best multiplayer game out this year, with crisp and fine-tuned gameplay that I raved over in my review. 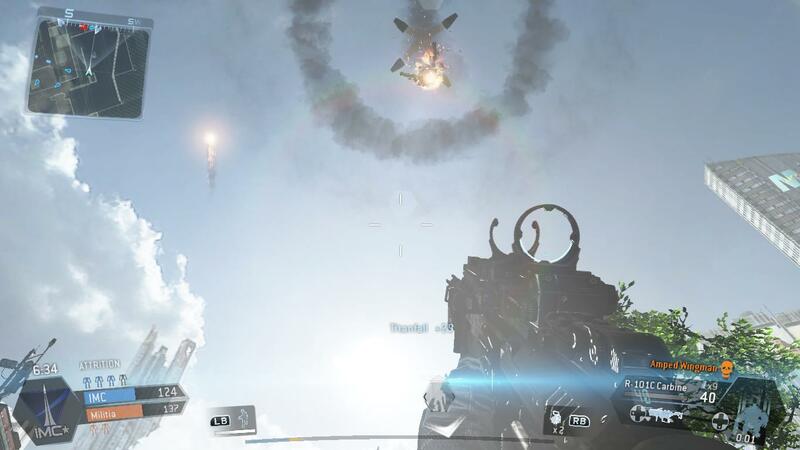 Simply put, give Titanfall a try. This entry was posted in Gaming and tagged EA, Origin, Respawn, TitanFall on June 20, 2014 by leagueofmediocregamers. 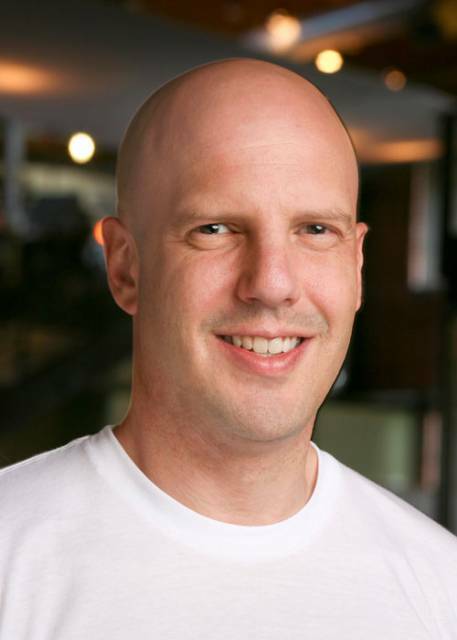 Stig Asmussen, creative director of God of War 3, has joined Respawn Entertainment, the developers of Titanfall. Asmussen was the lead environment artist on God of War, and art director on God of War 2, before leaving Sony Santa Monica earlier this year. It was reported that Asmussen was developing a new IP for Sony Santa Monica, but the project is being my be cancelled or rebooted after a round of layoffs effected the studio earlier this Spring. Asmussen’s role at Respawn is currently unknown, but he told Polygon that Respawn is “super excited to have him.” He went on to tell Polygon that he has been working at Respawn for a number of months already, but is not working on Titanfall. This likely means Asmussen is working on Titanfall 2, and his inclusion in the project adds credence to the rumor that Titanfall 2 will feature a fully realized single-player campaign. 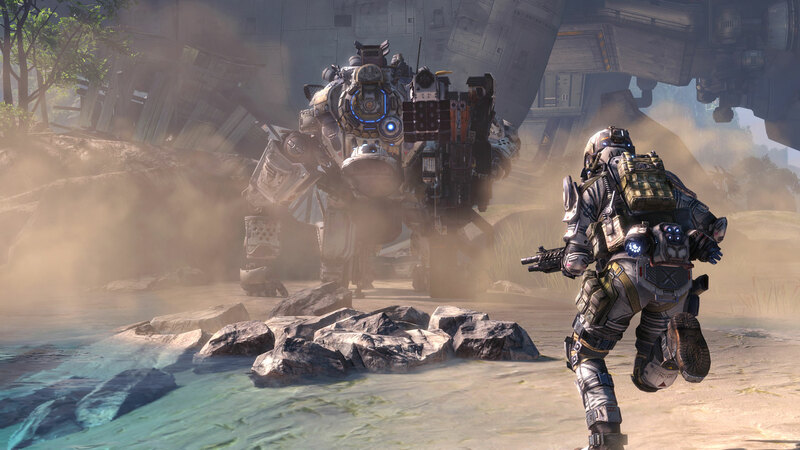 Titanfall lacked a single-player campaign, with it’s story told through a series of multiplayer battles. That didn’t detract from making the game great though, as I wrote in my review. This entry was posted in Gaming and tagged Respawn Entertainment, Stig Asmussen, TitanFall on June 13, 2014 by leagueofmediocregamers. The PS4 continues it’s dominance of the US sales chart for the 4th month in a row, while Xbox One’s Titanfall is the top selling game for the second month in a row. Following Titanfall in 2nd is Call of Duty: Ghosts, and NBA 2K14 in 3rd. Fourth through tenth are as follows: Minecraft, LEGO: The Hobbit, The LEGO Movie Videogame, LEGO Marvel Superheroes, The Amazing Spider-man 2, Grand Theft Auto V, and Assassin’s Creed IV: Black Flag. This marks the second straight month with Titanfall and call of Duty at numbers one and two, with Minecraft making a massive resurgence up the charts, after being only at 10th in April. Microsoft has responded to the news today, touting that Xbox Leads U.S. Software Game Sales, with an average of three games sold per console. Xbox One sold a total of 447,000 games, as well as 2.6 million games on Xbox 360. This big uptick in game sales can be attributed to sales of games for the Easter Holiday, which would also explain the big sales for the three LEGO titles. As I wrote earlier, PS4 managed to maintain it’s lead, and was the number one selling game console for the fourth month running. Neogaf is claiming that 115k Xbox One’s were sold during April, but did not currently have the numbers for PS4. Overall, things are looking great for this new generation of consoles. Callahan told Gamesindustry.biz that “Life to date, sales of PS4 and Xbox One hardware have more than doubled the combined sales of PS3 and 360 hardware through their first six months of sales.” Total Industry sales climbed 17% to $580.3 million. 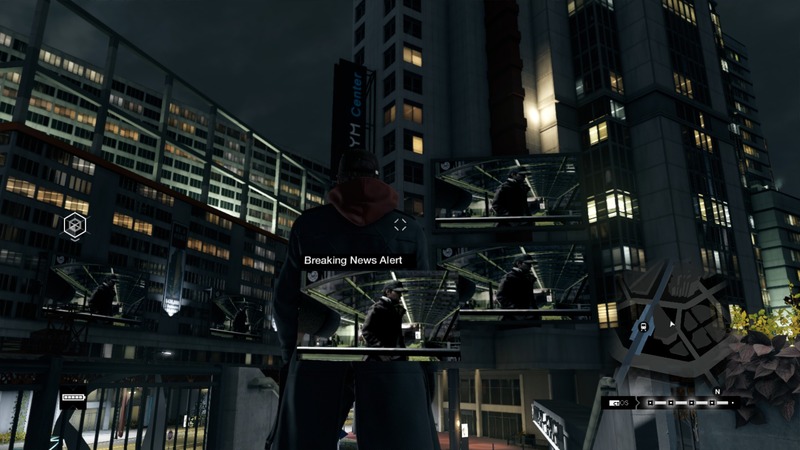 This entry was posted in Gaming and tagged Lego, NPD, NPD Numbers, PS4, The Amazing Spider-man 2, TitanFall, Xbox One on May 15, 2014 by leagueofmediocregamers. The NPD Group has released it’s video game sales numbers for March, and these will almost assuredly lead to some fun fanboy fights on the internet. Taking the top seller spot for software is Titanfall, Respawn’s Xbox and PC exclusive. Following Titanfall was Infamous: Second Son, the PS4’s big exclusive, with South Park: The Stick of Truth rounding out the top three. From their we have Call of Duty Ghosts in fourth, Dark Souls II in fifth, Metal Gear Solid V: Ground Zeroes in sixth, NBA 2K14 in seventh, the remastered version of Final Fantasy X/X-2 in eight, LEGO Movie: The video game in ninth, and Minecraft, surprisingly, taking 10th. The biggest shocker of this sales data was that the PS4 was still the top system seller. This marks the third month in a row that the PS4 was the number one selling console, despite the fact that Microsoft brought out it’s biggest exclusive yet with Titanfall. These sales numbers are great for the industry as whole though. “PS4 and Xbox One continue to see success with cumulative sales of the two consoles through the first five months currently totaling more than double that of their predecessors, the PS3 and Xbox 360,” NPD analyst Liam Callahan told GameIndustry.biz. Microsoft has spoken about the news already, with Yusuf Medhi writing a piece on Xbox Wire. In the article, Medhi notes that the Xbox One sold over 311,000 units during March in the US alone, with the Xbox 360 continuing a strong pace with 111,000 units sold. The Xbox One’s current pace is towering over the Xbox 360’s pace at this point after launch by nearly 60%. Titanfall is also the number two selling Xbox One game of all time, despite only being out for a month. We will update this piece if/when Sony speaks on the NPD sales numbers, but yesterday they announced that the PS4 has surpassed seven million units sold worldwide. This reporter’s opinion: Wow. Was not expecting the PS4 to take the number one selling spot for hardware. This was Microsoft’s big gun, and apparently it wasn’t enough to beat Sony’s lower priced console. I fully expect, however, that the availability of the PS4 was a big factor. During March, it was much more readily available in the states, which likely helped this bump in sales. I fully expected Titanfall to take the number one spot for software though, and rightfully so. It’s an amazingly fun game that you need to be playing. More surprising to me is that no Nintendo games or hardware were anywhere to be found. It’s unfortunately sad to see. This entry was posted in Gaming and tagged Microsoft, NPD Numbers, Playstation, Playstation 4, PS4, Sony, TitanFall, Xbox, Xbox One on April 17, 2014 by leagueofmediocregamers. 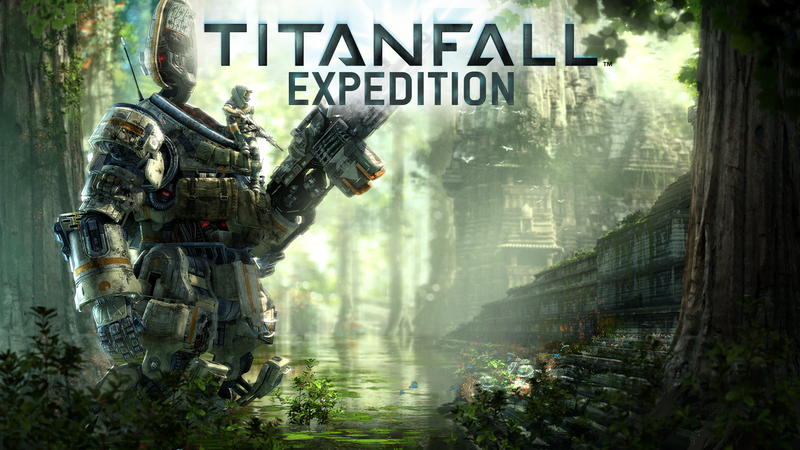 During Titanfall’s PAX East panel, respawn has announced the game’s first map pack called Expedition. It will feature three all new maps: Swampland, Runoff, and War Games. Each map will feature a different sort of theme; Swampland is a jungle based map that shows off a stretch of alien ruins, and allows for players to wallrun in trees, Runoff heavily incorporates water, and War Games being a simulator based map. These new maps will cost $10, or are apart of the game’s season pass which costs $24.99. They will arrive in May. On top of this paid DLC, Respawn is adding a new game mode for free. 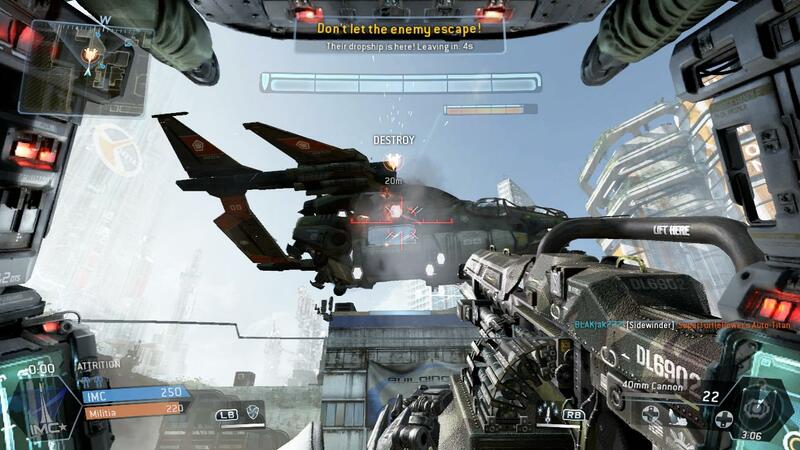 “Wingman” will be a 2v2 version of Titanfall’s Last Titan Standing gametype. For those unfamiliar with Last Titan Standing, it drops you and your team in your Titan’s against your opponents who also start in Titans. The only way to win is to destroy all the opponents Titans, while having at least one alive for your team. Making this 2v2 will force players into deep levels of strategy and team work. Respawn also revealed they are looking into adding competitive aspects like a ranking system and spectator mode. If you haven’t played Titanfall yet, you really should. It’s one the funnest multiplayer games in a good while. If you need more convincing, take a look at my review. This entry was posted in Gaming and tagged Expedition, Season Pass, TitanFall, Titanfall DLC on April 13, 2014 by leagueofmediocregamers.